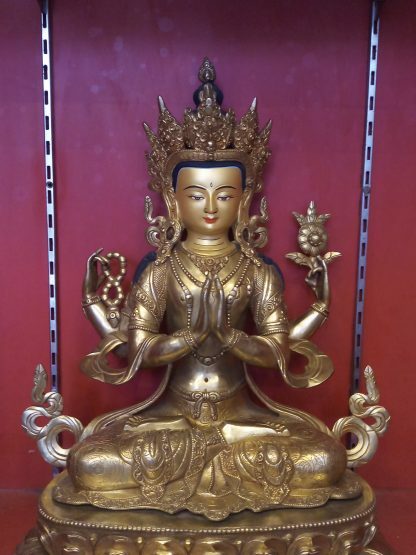 The statue is Fully gold plated body and face painted with 24 k gold. Changresi Buddha Statue full gold figurine has four arms and holds a flower in one and mantra mala in other. 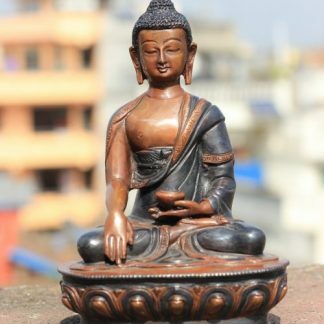 The remaining two hands are in Namaste mudra. 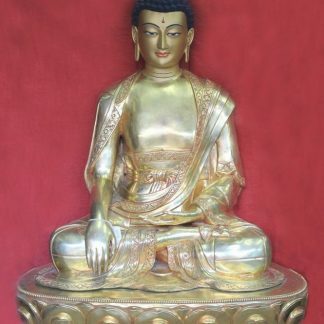 Changresi Buddha Statue has four arms and is seated legs folded. 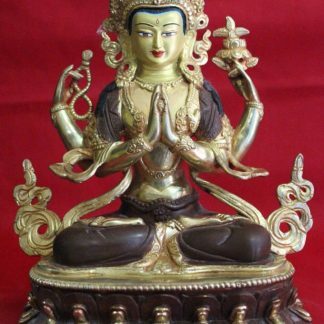 One of the hands hold flower and other holds Japa Mala. 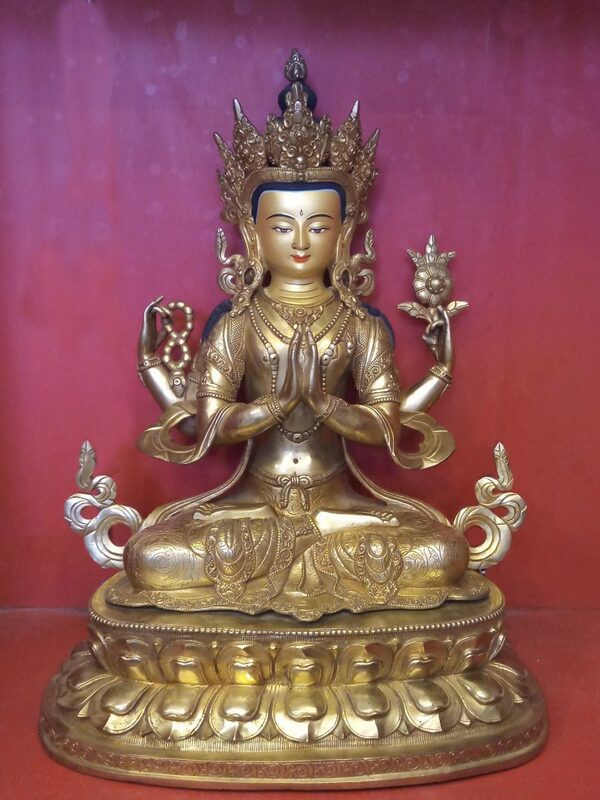 It is richly decorated ornamented. 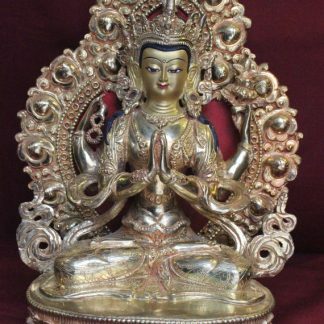 He wears a sacred thread of jewels and earrings. 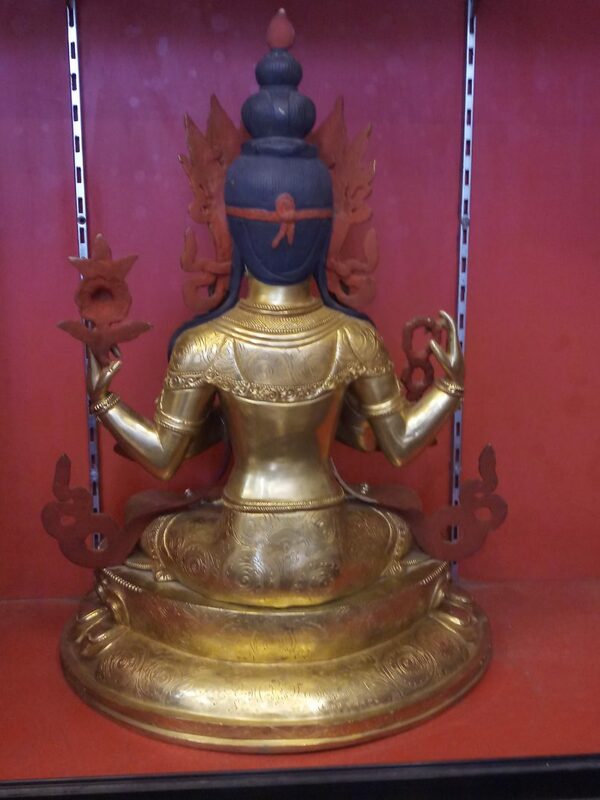 There is also lotus flower at each of the shoulders. 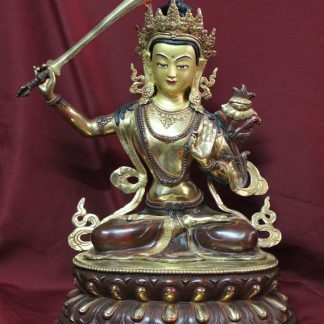 Chenrezig is also known as Avalokitesvara. 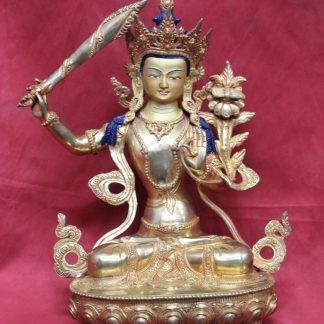 It is the Lord of the world with infallible noose which leads suffering sentient beings to enlightenment. 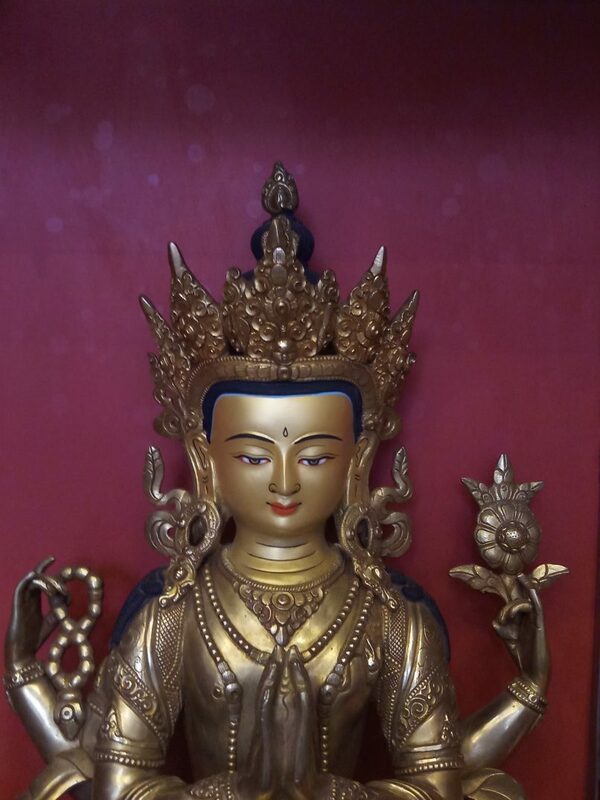 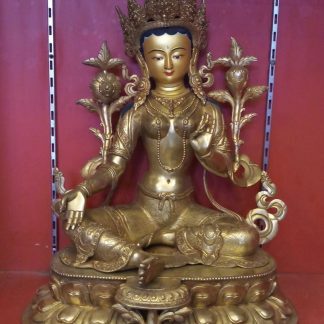 Avalokiteśvara is a bodhisattva who embodies the compassion of all Buddhas. 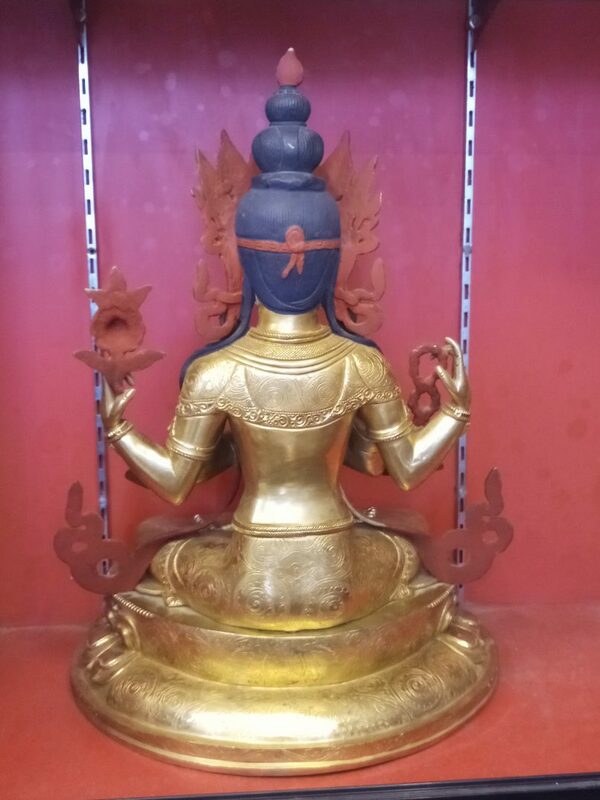 Ever wondered how Buddha statues are made? 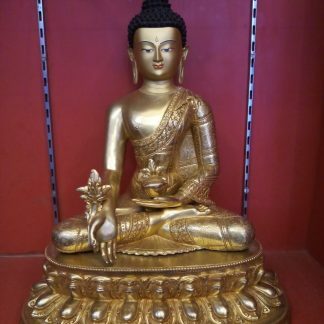 Check here for the detail information on making of a Buddha statue. If you need some more guidance on choosing the appropriate one. 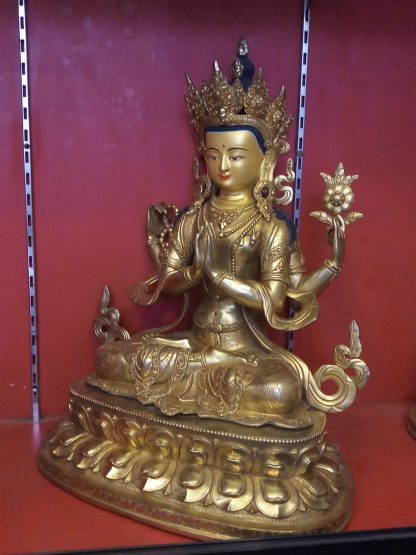 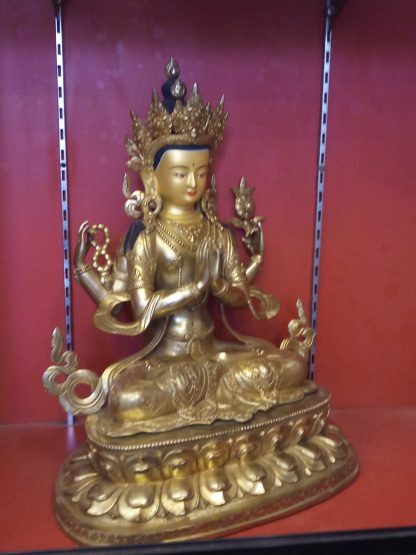 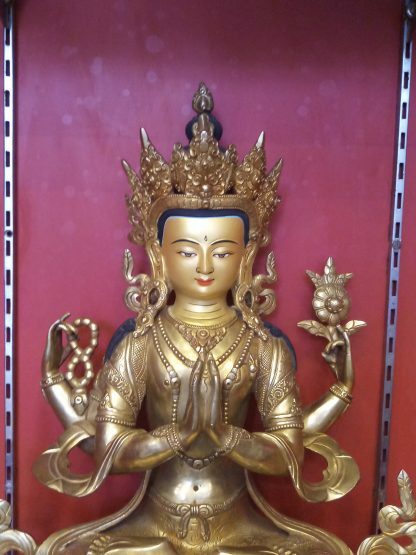 Do check here on buying right Buddha statues.